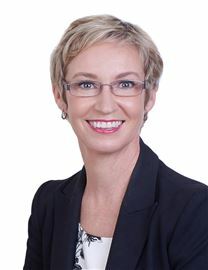 Benita Dwyer comes highly recommended by her many past clients. As a top professional in the industry, she is well recognised by her peers and has been the recipient of many awards acknowledging her efforts over the years. Her passion and drive to achieve great results is paramount to the way she conducts her campaigns. With careful planning, and in consultation with her clients, the excellent results she achieves are not accidental. You can rest assured when you employ Benita to look after your property, be it an investment or much-loved family home, you will have the expertise and care your property deserves. Innovation is Benita’s middle name and in these high-tech times – this is exactly what you need in a real estate professional. Benita has a large network which assists her to match people with properties successfully. For honest and friendly advice or to get your house sold, give Benita a call today, she would love to hear from you! This Honey Has To Go!!! Move In, Spread Out, Enjoy!